Caspar Bik (Georgian) was born in 1990 in the Netherlands. He was an active dancer from a young age in groups that presented Dutch dances as well as groups that showed international dances. Caspar graduated in 2013 as a dance teacher at the dance academy Codarts in Rotterdam. Besides folk dancing, Caspar has experience in modern/contemporary dance, classical ballet, jazz dance, ballroom, and tap dance. Since his graduation he has been teaching different dance styles to children, teenagers, and adults at amateur and professional levels. In 2014, he founded a youth school for theater arts which performs a stage musical every year for which Caspar creates the choreography. Both as a folk dance instructor and as a choreographer he has taught courses in Belgium, Germany, Switzerland and Turkey, Taiwan and the USA. Caspar has been specializing in folk dances from countries around the Black Sea. During his research in Georgia, he trained with the professional ensemble Erisioni and traveled through the country to experience the colorful variety and beauty of Georgian dance, song and music. Iliana Bozhanova (Bulgarian) is a native of Gulubovo, Bulgaria, and comes from a family of musicians and singers in Southern Thrace. She toured as a principal dancer and singer with Ensemble Ruchenitsa of Plovdiv as a youth; graduated from the National School for Amateur Art Instructors; and later received her Bachelor's and Master's Degrees from the Academy of Music and Dance Art in Plovdiv. 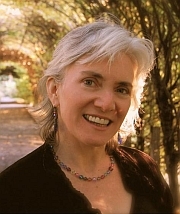 She has worked as a choreographer with a number of ensembles, including the Children's Ensemble for Folk Dances in Bulgaria, Zarove in Holland, and Bosilek in New York City; she has taught at most major U.S. dance camps, including Stockton, Mendocino, Old World Music & Dance Camp, Beloit, and Mainewoods. She currently serves as Artistic Director of Ensemble Voivodintsi, the 70-person multi-generational folk dance ensemble from the village of Voivodinovo (near Plovdiv), and is the dance program coordinator for the annual Bulgarian Folk Music and Dance Seminar at the Music Academy in Plovdiv. Todor Yankov (accordion) grew up Dobralak in the Rhodopi Mountains. His father, Vasil Yankov, was a well-known gaida player in the area. Todor began to play gaida, like his father, then he took up kaval at age 10 and accordion at age 16. He is also a noted singer. For many years he played with the Hisar folk orchestra and has been the accordionist for the following folk dance ensembles: Rûchenitsa, Hebar, Pûldin and Voivodintsi. Iliana and Todor met in 1984 in Ensemble Ruchenitsa, then their professional paths diverged. In 2004, they reunited to found Ensemble Voivodintsi, a music and dance ensemble based in Voivodinovo, just north of Plovdiv. The ensemble has grown from 32 performers to more than 100 dancers, singers, and accompanists. Penny Brichta (Israeli) has been an avid Israeli dancer since college, spending her junior year at Hebrew University in Jerusalem dancing far more than studying. She has attended dance workshops in the US and abroad learning from the top choreographers in Israeli dance. She performed with Nitzanim, Chicago's premier Israeli Folk Dance Troupe for 20 years. More recently, Penny attended the Karmiel Dance festival and was thrilled to be selected to perform in the new dance competition. Penny has been teaching the beginner's session at the popular Chicago Israeli Dance group for 25 years. She is a regular teacher at the Door County Folk Dance Festival and has taught Israeli at Madison Folk Ball and in Harrisburg, PA. . Penny is a certified Jazzercise aerobic dance instructor and teaches several Jazzercise classes each week. She works full time in Human Resources. Sonia Dion and Cristian Florescu (Romanian) are known for their wonderful energy, warmth and exciting choice of dances and music. Cristian has danced with and choreographed for many Romanian folk ensembles and has studied with various specialists including Theodor Vasilescu. In 1993 Cristian joined Les Sortilèges, a professional folk dance company based in Montréal, where he danced, taught and choreographed. In the course of her 20 years with the same company, Sonia was lead dancer, choreographer and artistic director, among other roles. It was at Les Sortilèges that the two met and formed a professional and personal partnership. They have performed with the Collage International Dance Ensemble of Boston, have taught at l'École Supérieure de Danse du Québec, and have been part of the Artists in the Schools program sponsored by the Quebec Ministry of Education. In recent years, they have been teaching workshops for recreational folk dance groups in Austria, Belgium, Brazil, Canada, England, Germany, Holland, Hong Kong, Italy, Japan, Norway, Singapore, Switzerland, Taiwan, and the United States, sharing their love of Romanian folk traditions. 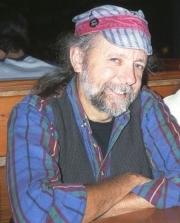 John McIntire (Contras & Squares / English Country) came to folk dance reluctantly in the mid 1970's when he was “invited” to attend the weekly English Country Dance in Portland, Oregon. In 1992, he took a calling workshop offered by Nancy Rosalie and then sought out Ted Sannella as a mentor. John now calls New England contra, square and circle dances at venues around Maine where his clear and patient instructions makes the dancing accessible to all. He has called at various festivals around New England and the Northwest Folklife Festival, and serves on the NEFFA Ralph Page Memorial Committee. Along with life partner Nancy Rosalie, he also leads a monthly English Country Dance. Miroslav Bata Marcetic (Sebian) was a leading performer, soloist and choreographer, with the Serbian National Folk Ensemble “Kolo” in Belgrade, Serbia for seventeen years and is the recipient of numerous awards for his artistic work. Miroslav created a great number of choreographies, which have won either first or second prizes in competitions, both in Former Yugoslavia and in Canada. Under his artistic direction, many ensembles have won artistic awards. In 2004 in Toronto, ON, Miroslav established his own dance school, “Academy of Serbian Folk Dancing Association” which consists of more than 450 dancers of all ages and a folk band. 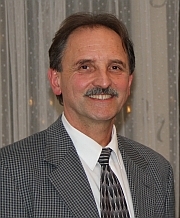 He simultaneously works with the international folk dance community where he teaches Serbian and East-European dances. He has presented seminars in former Yugoslavia, Japan, Israel, Brazil and Taiwan in addition to the US and Canada. Jacqueline Schwab (English Country Dance) is delighted to return to the magical, "Brigadoon" world of Mainewoods. She discovered English country dancing at age fifteen and has been a dance pianist for over four decades. She is a founding member of the Bare Necessities quartet, who have recorded eighteen English country dance CDs and played for dancers throughout the US and in England. As a country dance leader, she aims to bring out everyone¹s confident, joyous, inner dancer and frequently calls dances from the piano. Jacqueline¹s playing has been heard worldwide on a dozen of Ken Burns¹s documentaries, including his Grammy award-winning Civil War and others. In addition, she has three solo recordings and has recorded with fiddlers Alasdair Fraser and Laura Risk, as well as with Scottish singer Jean Redpath. Jacqueline's newest solo piano concert program is I Lift My Lamp—Vintage Songs and Dances of Immigrant America. At Mainewoods this summer, Jacqueline looks forward to reconnecting with her teenage folk dancing years in Pittsburgh and then in Boston. Patricia Williams (Scottish) has been teaching international folk dance at workshops, professional retreats, schools, dance festivals and other special events for over thirty years. Beginners find her instructions to be simple and clear, her enthusiasm infectious. Advanced dancers appreciate her attention to detail, styling, and the cultural context of dances. 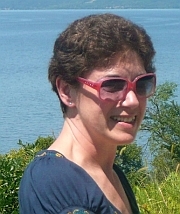 She has enjoyed Scottish Country Dancing since being introduced to it at Maine Folk Dance Camp back in 1980! In 2012 she began dancing with with a Royal Scottish Country Dance Society (RSCDS) branch near her home in Alexandria, VA, where she also leads an international folk dance group. She became an RSCDS certified teacher two years ago and now teaches at various RSCDS branches in the Metro DC area, as well as at Mainewoods. Her current mission is to introduce more international folk dancers to the beauty and fun of Scottish Country Dancing! 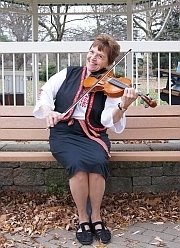 Susan Anderson (International Folk Musician - Ajde) has been actively involved in the folk dance community since 1962 as an international folk dancer and musician. She has led international singing workshops for groups, festivals and schools and has taught folk dancing in the Philadelphia area and beyond. Her talents are many: she sings and plays fiddle, gaida, balalaika, keyboard, guitar and tambura; she is the leader of the International Folk Sounds and Ajde, folk dance bands. 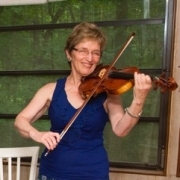 In addition, Susan leads a weekly dance and a monthly international music jam, performs Appalachian clogging with the Fiddlekicks, and sings with Svitanya, a women's Eastern European vocal ensemble. Joe Blumenthal (International Folk Musician - MerakKef Express) is a Northampton, MA, based musician who plays bass in a variety of bands including Klezamir (playing Jewish weddings and bar-mitzvahs as well as concerts since 1988), Orkestar Banitsa (a folk dance band playing music of the Balkans), Mando Paradiso (a mandolin and guitar ensemble), in addition to MerakKef Express. He is a frequent "ringer" for Bobba Culpa, playing upright bass and percussion. He also leads AEIOUkes, Northampton MA's ukulele club. 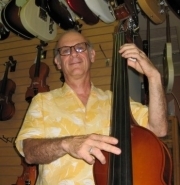 His day job is owning a musical instrument retail store, Downtown Sounds, in Northampton, MA, since 1976. Anne Ehrhart (International Folk Musician - Ajde) has been active in folk dance communities since 1969, and has been singing songs from Eastern Europe for nearly 20 years, being deeply involved with Svitanya Eastern European Women's Vocal Ensemble for most of that time. She also sings and plays tapan & dumbek with Ajde. 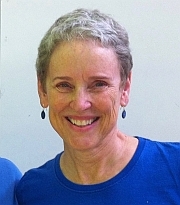 Having danced in North Carolina, Indiana, the DC area, and now southeastern PA, Anne leads folk dancing at Ann's Choice in Warminster, PA, dances regularly with other local groups, and is on the board of the Folk Dance Council of the Delaware Valley. Kitty Kagay (International Folk Musician - MerakKef Express) has been actively involved in the folk dance community since 1975 as an international folk dancer and musician. She danced with the George Tomov Yugoslav Ensemble from 1977-1979. She was a founding member of the bitov group Nezabravka, brass group The Haèeks, and IFD dance band Bobba Culpa, primarily singing Balkan music. She currently performs with MerakKef Express. Her other vocal pursuits include Sacred Harp singing, with occasional forays into Scandinavian and Chinese singing. 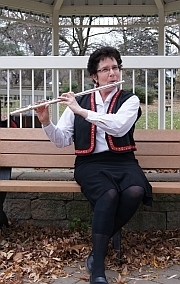 Karen Klevanosky (International Folk Musician - MerakKef Express) is a classically trained musician who has been playing flute for more than a half century, performing solo and chamber music in the Northeast and in France. She crossed over to the Balkan side in the mid-1990s when she joined the Bobba Culpa international band and began attending Balkan music and dance camps. Since then she has played various woodwind and percussion instruments and sung with Bobba Culpa, as well as the recently formed group, MerakKef Express. "kk" also sings in her synagogue choir and serves as a cantorial soloist. Barb MacLean (International Folk Musician - MerakKef Express) began folk dancing as a child and has played in folk dance bands since 1986. She has played in folk dance bands, Terpsichore and Nezabravka and is music director and a founding member of the band Bobba Culpa. She recently put together MerakKef Express. 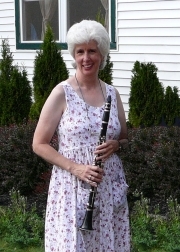 She sings and plays clarinet, tambura, and various percussion. She has taught folk dancing at the Dance Flurry in Saratoga, NY, at music therapy conferences and at her local dance group. She sings and plays percussion in the early music ensemble Lycaeides. Besides music, Barb's passions include traveling (including dance seminars in Romania, Greece and Turkey), photography and natural horsemanship. Barb has sung in numerous choirs, including Albany Pro Musica Masterworks, has directed a few of them and organized several small vocal ensembles. 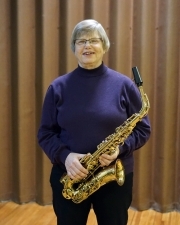 She is a retired music therapist, having spent most of her career serving veterans. Bob Schulz (International Folk Musician - MerakKef Express) began playing electric guitar in 1965. 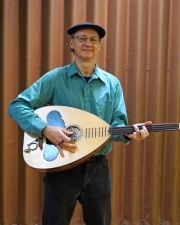 After performing rock, jazz and folk guitar, Bob turned his sights on International folkdance music about 25 years ago. (He has been a dancer for many years and has taught folk dancing as leader of the Tri-City Folk Dancers in New York State's capital region and at the Dance Flurry in Saratoga Springs, NY.) 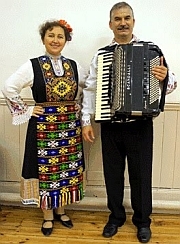 He has learned many Balkan styles and instruments by annual attendance at the EEFC's East Coast Balkan Music and Dance Camp. Bob has also played Early Music with the recorder consort Lycaeides. Surprisingly, he is not a founding member of the band that bears his name, but after joining the group he quickly caused so much mayhem that the band was retroactively dubbed Bobba Culpa. Bob has produced several CDs, including "Sundian subVersions: Far-Fetched Facsimiles oF Folkdance Favorites", "Balkan Beat" by Planeta Synteza (rock music with Balkan rhythms), and two CDs by Bobba Culpa: "Culpability" and "Culpability 2: Bobba's Revenge!" Debby Szajnberg (International Folk Musician - MerakKef Express) has been folk dancing since childhood and performing world dance and music since her early adult years, especially from Balkan and Eastern European folk traditions. These include dancing, singing, and playing with Balkanske Igre and International Dancers in Chicago, and George Tomov's Yugoslav Ensemble in NYC. She also played and sang in A Different Village, Hijaz, and Yia Mas instrumental ensembles in Hartford, CT. She is a regular participant at the East European Folklife Center's annual Balkan Music/Dance workshop as well as folk dance seminars abroad. A retired kindergarten and music teacher, she has presented national and regional workshops on creative and folk dance to music educators. 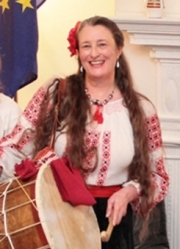 She leads community dances at local schools and libraries and is a frequent teacher at Always on Sunday International Folk Dancers in Wethersfield, CT. She sings, plays violin, doumbek, tupan and other hand percussion. One of her current projects is collecting, transcribing and teaching children's clapping and rhythm games from around the world. 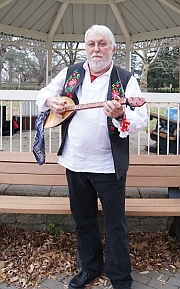 Bill Wadlinger (International Folk Musician - Ajde) founded Beaver College Folk Dancing with his wife Carol in 1977. He was a founding member and first president of the Folk Dance Council of the Delaware Valley. Over the years he organized countless Philly Area dance and music events in addition to teaching dance classes and workshops, and leading the weekly Beaver group with Carol. Then in the 90's, Bill dusted off his guitar and later acquired a mandolin, tamburas, and a charango. With his wife Carol, Susan Anderson and other musicians, Bill plays with International Folk Sounds (the IFS). He occasionally plays with pickup bands such as the Philly area contra dance band SPUDs. 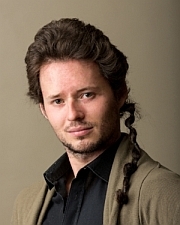 He currently teaches a weekly international dance class, "Folk Dance on Fridays," in Chestnut Hill, Philadelphia. 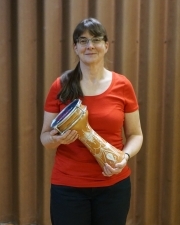 Carol Wadlinger (International Folk Musician -Ajde) has been active in the folk dance community since the 70's. She plays in two folk dance bands: International Folk Sounds, and Ajde. She plays flute, English concertina, piano and a smattering of other instruments. In addition to playing for folk dancers, she plays contra, klezmer, English, etc. She enjoys teaching and encouraging adults to make music for dancers. When she is not busy playing music (or working), she is on the floor dancing. She and her husband Bill started and ran the Beaver Folk Dance group in the Philadelphia area for over 25 years. She currently teaches music to very young children (one to six years old) in pre-schools.